Our season is done assuming we don't pull off the miracle of miracles and make the playoffs. 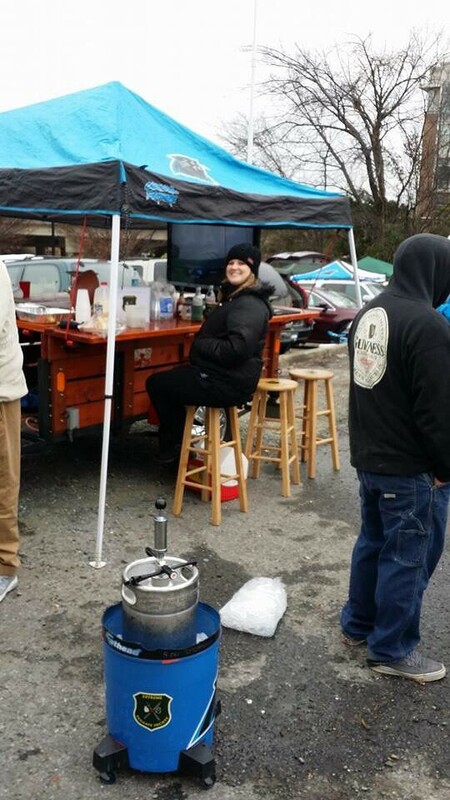 My thoughts turn to off season improvements to the tailgate bar. The canopy is shot. I'm going to look and upgrade this shelter to a nicer 12 by 12 from this 10 by 10. Perhaps a branded shelter if it's not too expensive. The suspension on the trailer is shot. The trailer bottoms out and bounces way too much. It's just a matter of time before the shackles break under the stress. I need to stiffen what I have, get new springs, or add shocks. Fasteners - I plan to upgrade the hold down fasteners from brass coated to solid brass. Branding - I will finish branding the bar top with Extreme Tailgate logos like I did the seats. Beer - After seeing the convenience and mobility of the beer cart I may just make this available on the mobile bar. Finish - I will add a few more coats this summer of spar urethane to the bar tops for 9 total. Table - One serving table is very melted from two failed burners. I'll need to get this replaced. Burner - I need an additional propane burner for the third chafing dish and will contemplated buying another chafing set up. Finally, I'm giving serious consideration to only participating in 6 home games next year. Each game consumes three days of my time, setting up, the tailgate, and tearing down and washing. This would give me back 9 days. I so love tailgating but 9 tailgates times 3 days is 27 days in the fall that occupy my time. Only nine days are actually tailgating. ill start work on the new logo then, will have to take extreme out of it!!!! Check that tire pressure too.